Hand-carved seed from the Buri tree, a palm tree native to the Philippines. The seed has ivory like qualities. Very hard, smooth and light-weight. 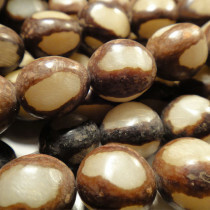 Buri Seed Beads Half Skin Saucer 10mm (~68pce Strand) - 40cm/16'" Strand. 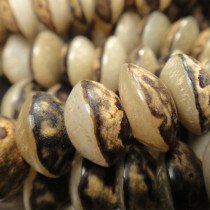 Buri Seed Beads Sliced (~28pce Strand) - 40cm/16'" Strand. 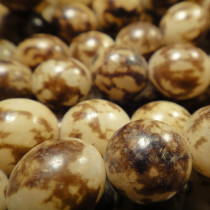 Buri Seed Beads Tiger Brown ~11mm Round (~29pce Strand) - 40cm/16'" Strand. 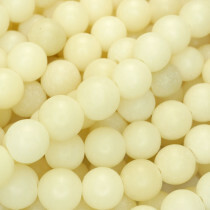 Buri Seed Beads 10mm Round (~40pce Strand) - 40cm/16'" Strand.